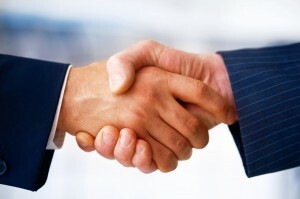 The general counsel and the chief ethics and compliance officer (CECO) are partners. And so is the CECO with all the other functions in an organization. Every day the various functions in an organization work out ways in which they need to work together so that each can discharge its unique mandate. The CECO/GC relationship is no different, but some of the difficulty arises because of a lack of common understanding in the difference between “legal compliance” and the broader compliance framework and mandate that the CECO is expected to manage. Only when the general counsel community understands and accepts that difference can we have a meaningful conversation about how the two functions can work collaboratively and effectively together. The problem with all the arguments that the CECO community hears from the GC and in- house legal community regarding compliance “ownership” centers specifically on “legal compliance.” CECOs have never said that the compliance organization should own legal compliance or take over any traditional legal role of the GC. In any organizational structure, there are multiple risk areas, in addition to those owned by the legal function that require subject-matter ownership. These include information technology, human resources, finance, treasury, safety, environmental, quality, security, engineering and more.